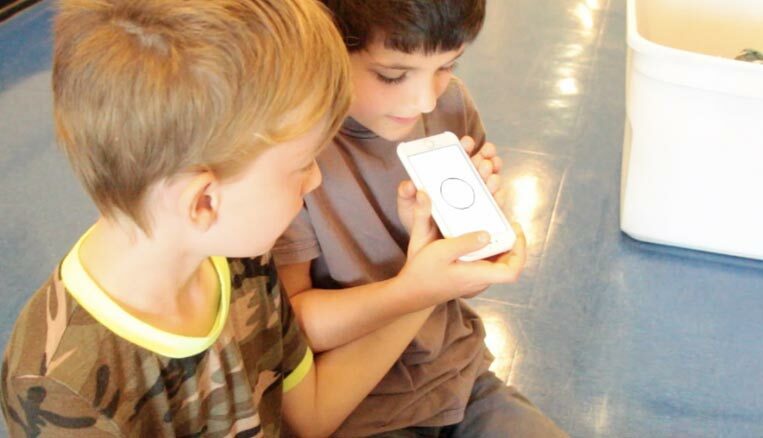 In the workshops, students engage in the collaborative process of creating a narrative, capturing it using the Li’l Stories app, and sharing it with the group. Labs can have a variety of outcomes from oral presentations to written narratives and story videos. The lesson plan of each Lab reinforces classroom topics and nurtures creative thinking, cooperative learning and digital literacy. In our explorations over the past year, we learned that a weeklong Lab — designed to be completed over five classes — is the most successful format for elementary schools. Students can deep dive into the activities, the outcomes are more advanced, and teachers have an easier time integrating the program into their schedules. 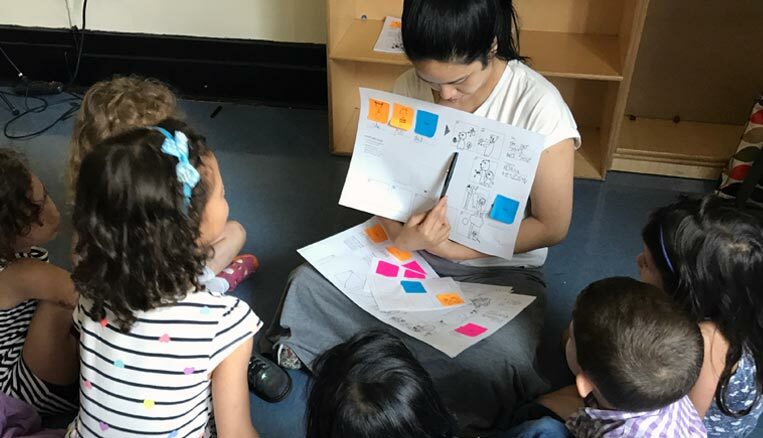 We like to think we learn as much from the students as they learn from the framework; the Labs have helped us refine and enhance Li’l Stories in a real-world setting with great feedback from teachers and kids. 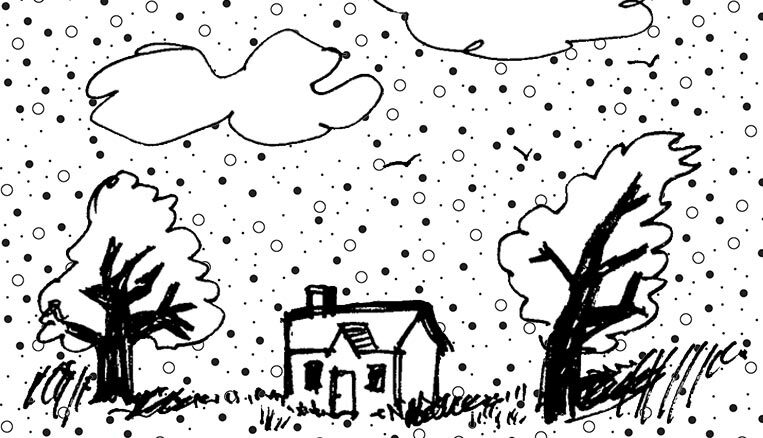 “My students love creating stories, drawing and telling them. They are engaged and don’t even realize they are learning,” said Kelly, a 1st grade teacher at P.S. 3. “Telling stories helps kids overcome their shyness. They can use the visuals on the storyboard as talking points,” said Charly, a 2nd and 3rd grade teacher at P.S. 3. For their part, the kids love it, too. “It was actually really fun because we got to let our imagination go free when we were writing and drawing,” said a 3rd grade student. Here’s a brief look at our Labs so far and how they’ve been used by students and teachers in the classroom. Ideal for young students, this Lab plants the seed of storytelling through the lens of The Tiny Seed by Eric Carle, the great children’s author and illustrator. Using the Li’l Stories storyboards, students sequence a retelling of the story highlighting the life cycle of a plant and how it grows. Carle’s beautifully simple drawings inspire the students’ own art as they develop their visual storyboards and share their stories in class. In October and November of 2016, we presented a six-week long Li’l Stories Lab inspired by The Tiny Seed and other Carle classics at P.S. 3 in Greenwich Village. Students enjoyed retelling The Tiny Seed, The Hungry Caterpillar and The Greedy Python and creating original stories based on the characters in the books. Check out the story of The Hungry Caterpillar as told by two kindergarteners. 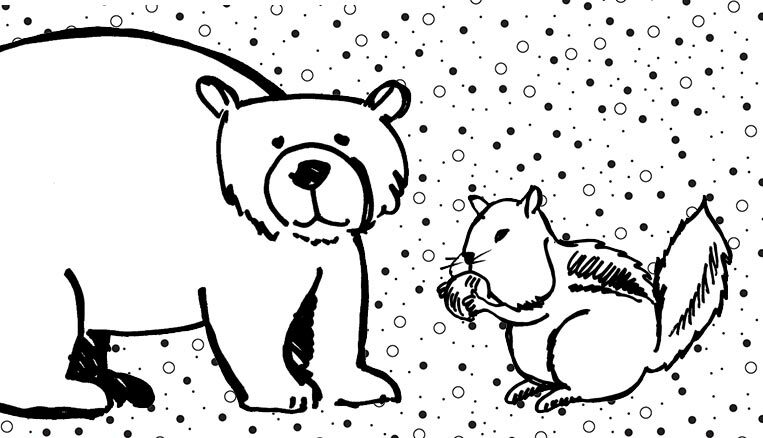 Children love animals, and this Lab gives young students the opportunity to create fictional stories about different creatures of their choosing, incorporating real facts they have collected through research. The exercise provides essential experience in the process of researching a topic, and kids enjoy play-acting the various animals when they share and record their stories. In one-week Labs with Team 311 at P.S. 3 in February and with Team 306 at P.S. 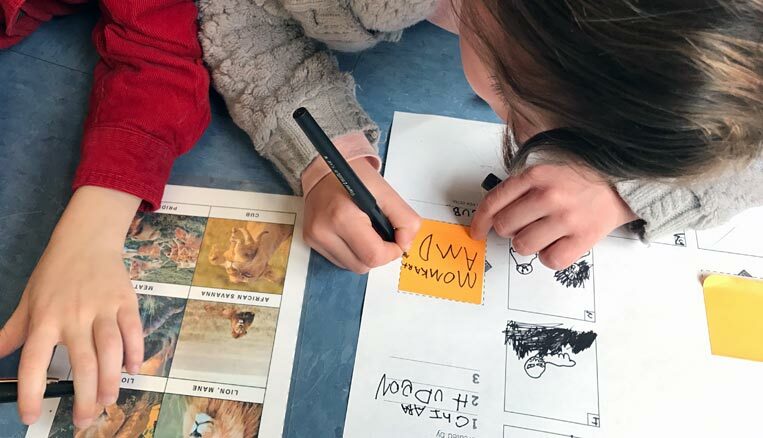 3 in May, students had fun working together to research animals–-elephants, lions, meerkats and monkeys among them — and creating stories where the animals played, hunted and, like the kids, worked together to meet challenges. Check out “The Fox scares away the Meerkats in the dusty desert”, a story created by two first graders. The playful structure of pourquoi tales, or origin stories, easily captures the imagination of children. This Lab is set within the context of a Native American study, with students creating stories inspired by the legends of Eastern tribes. The class first works together to retell an existing Native American pourquoi tale, then breaks into pairs or small groups to construct their own origin stories based on a legend or tribe of their choosing. 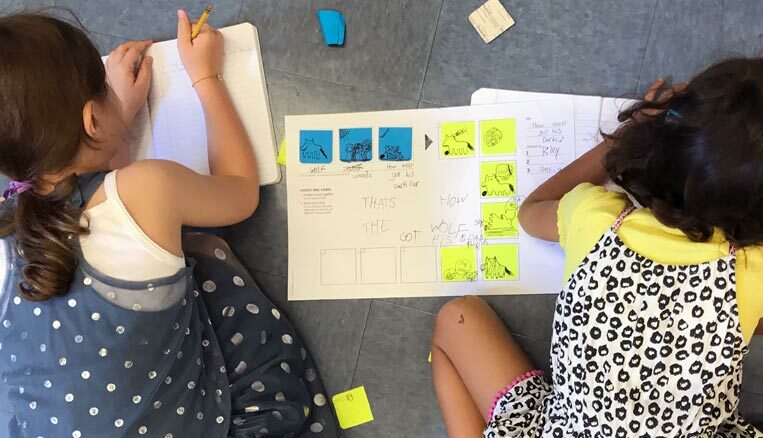 Through the workshop, students learn how simple stories are constructed, and utilize the Li’l Stories storyboards to visually structure their own stories and share them with the class. Check out the pourquoi tales “How crocodile got his teeth” and “How butterfly got her long tongue”, created by 2nd and 3rd graders. Li’l Stories brings together words and images to help with reading comprehension, so a Lab built around sight words is a perfect fit. Sight words are commonly used words that young children are encouraged to memorize by sight so they can automatically recognize them in text as they learn to read. In this workshop, students are given the opportunity to acquire and practice these high frequency words in the context of story creation. 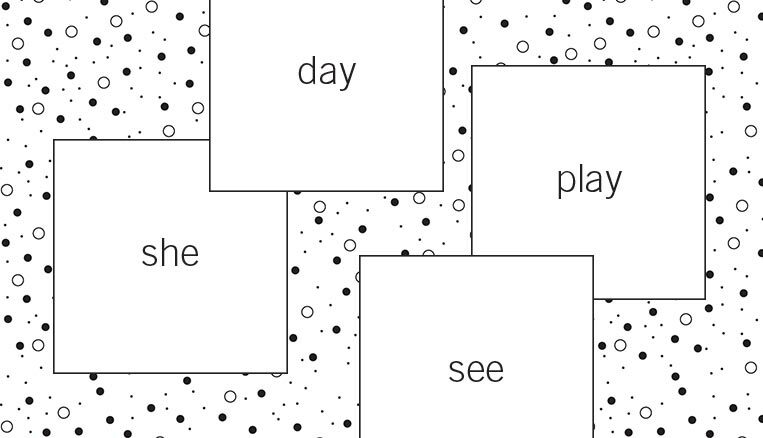 Using the storyboards, they structure a visual story together utilizing sight words taken from a word bank — “he,” “she,” “city,” “world,” “read,” “eat,” “sleep,” “sing,” and so on — then share the narratives with each other. During a three-day Lab in May, students from Team 211 at P.S. 3 had fun becoming familiar with sight words as they used them to generate characters, plots and settings. 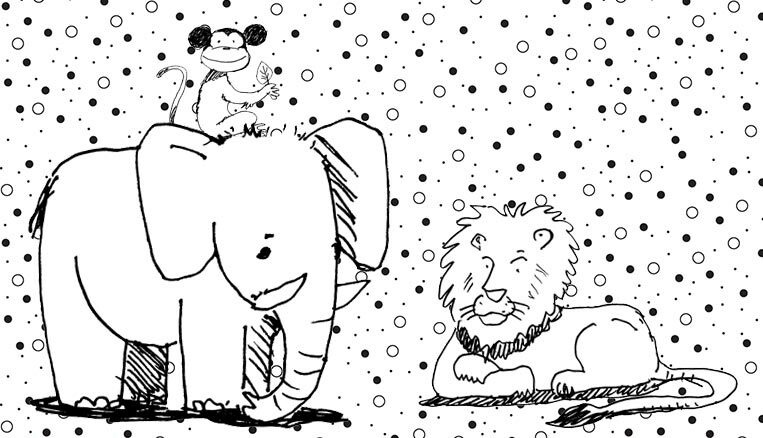 Check out “The Lion and Spider’s new friend the Zebra”, a story by two kindergarteners.